Although I didn’t visit New York City as a tourist until I was nearly 20, I’ve definitely made up for it since. While NYC is huge and there are a million things to see. After years of practice, I think I finally have nailed down what to show friends and family who are visiting that only have a day or two to see the highlights. Here is my go-to itinerary for NYC virgins. 8:00am – Arrive bright and early as you’ll want to get a jump on the day. While you can technically drive into NYC, I wouldn’t recommend it between tunnel/bridge tolls and parking fees you are definitely better off sticking to public transportation. After dropping your luggage at your hotel, head up to Columbus Circle (either walk, or take the subway (lines 1, 2, A, B, C, or D; 59th St -Columbus Circle/Broadway Stop). Once in Columbus Circle find your way to my favorite tea store, Argo Tea. 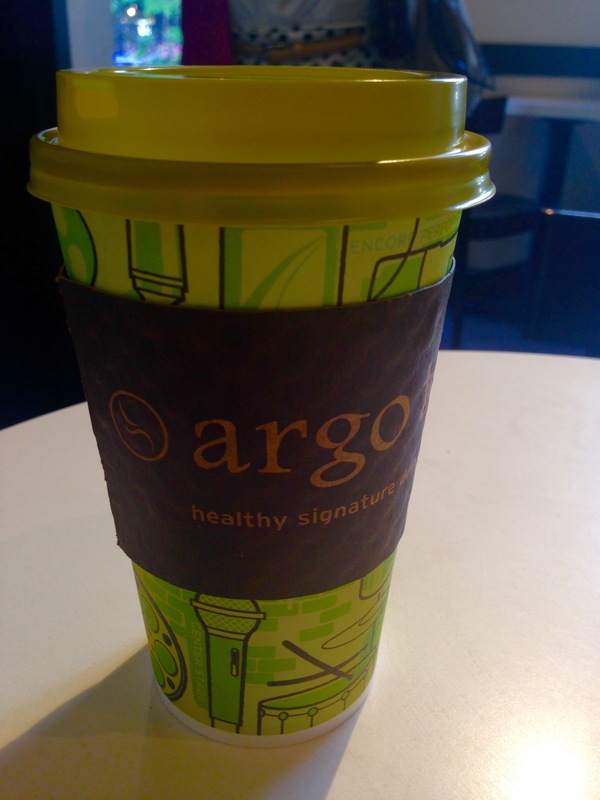 Argo Tea is the tea lover’s version of Starbucks and they have a huge selection of teas served in a variety of formats (don’t worry coffee lovers they have coffee too). With your beverage in hand, make your way into Central Park. 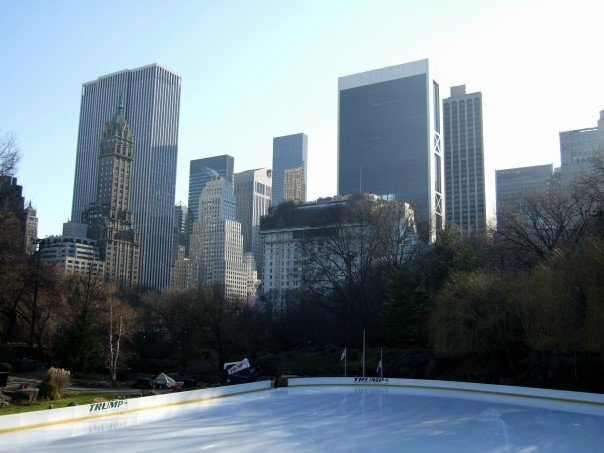 If it’s winter time be sure to check out the ice skating rink, but otherwise just enjoy the beautiful park. 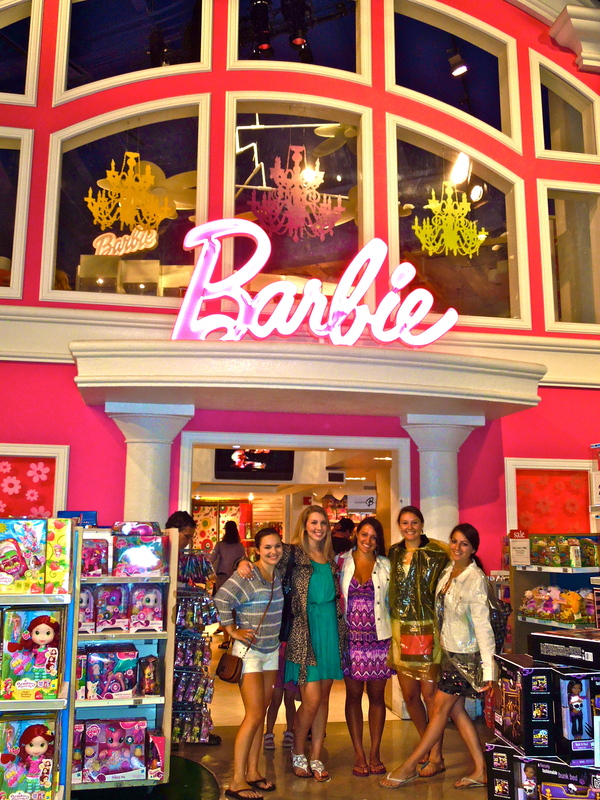 10:00am – The stores are finally open and so it’s time to start checking out a few of the iconic ones. Personally I’d start out with the Apple Store on 5th Avenue between 59th & 58th Streets and then head over to 60th & 3rd to visit Dylan’s Candy Shop. Hint: At this point, if Serendipity 3 is on your must eat list, you might want to hang out shopping in this area until 11:30am when they open. 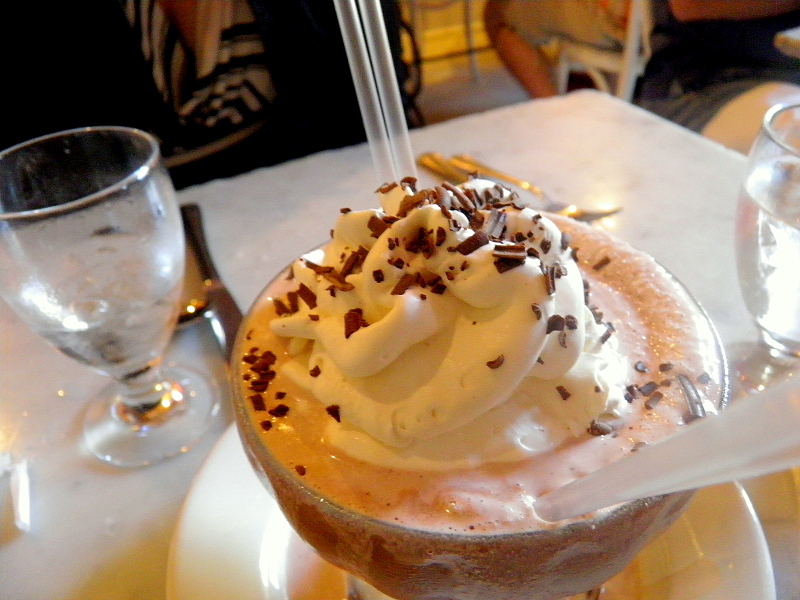 In my opinion their frozen hot chocolate definitely deserves the hype. If you’re going to stop, you probably want to get in line around 11am, if not earlier to avoid a one to two hour wait! 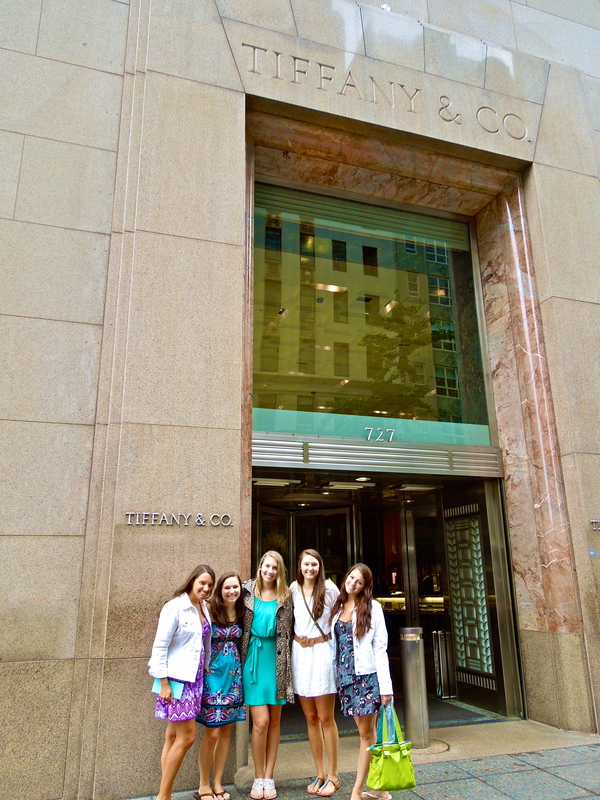 Use the energy from your candy rush to head back over to 5th Avenue & 57th and stop in at Tiffany & Co. to look around at the jewelry with the famous blue box. Continue window shopping down 5th Avenue until you reach 51st Street and stop into St. Patrick’s Cathedral to admire the artwork & architecture. After St. Patrick’s Cathedral head across the street to Rockefeller Center where the Christmas tree calls home over Christmas and the site of the Today Show’s concert series in the summer. While here, you may want to consider going to the Top of the Rock to see gorgeous views of NYC and Central Park. 12:00pm – After a morning full of walking, you’ve definitely earned your lunch. I recommend stopping for pizza at Angelo’s in Times Square. The pizza is delicious and surprisingly reasonably priced for the area. Once you’ve relaxed and refueled, take some time to explore Times Square.Be sure to check out Toys R Us to see everything from a Ferris Wheel to a life sized Barbie dream house. 3:00pm – By now, I’m sure you’re ready for a snack and maybe a drink and so head down to Eataly on 5th Avenue & 24th St. Eataly is a high end food market that specializes in all things Italian, so much so that when I first went there I immediately felt like I was back in Italy. 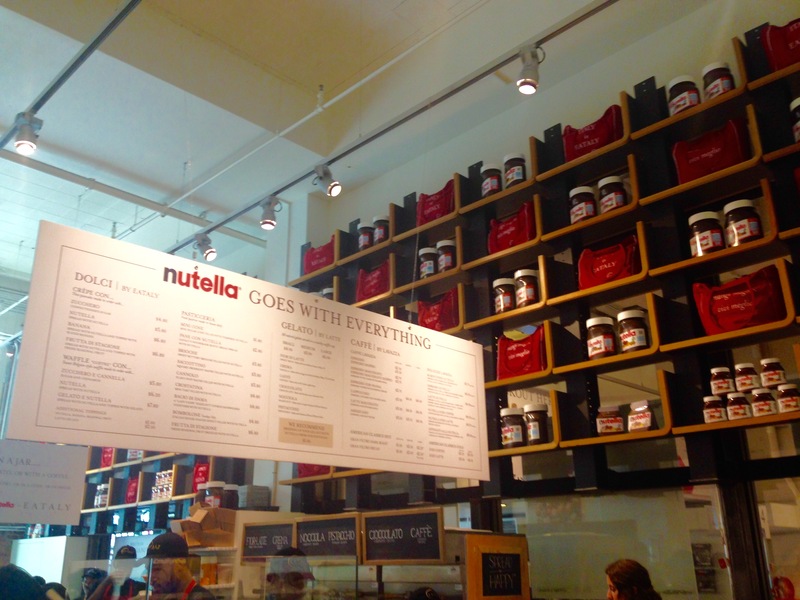 The building is broken up into a bunch of different sections focusing on everything from pasta to fish to Nutella. After exploring for a bit, I recommend grabbing a snack at the Nutella Bar before heading over to La Piazza for an apertivo or up to Birreria on the rooftop for a craft brew. 5:00pm – After exploring Eataly, the foodie in me would recommend then heading over to Chelsea Market on 14th & 9th to continue sampling your way through the evening. It’s an amazing food market, current home of the Food Network Studios (keep an eye out for food celebrities, Tori saw Alton Brown the last time she was there), and birth place of the OREO. After some time spent exploring the market be sure to head outside and upstairs to The High Line for a great early evening stroll. If, however, you were hoping to do some shopping of the non-food variety, now might be a good time to head down to Canal Street for an hour or two of retail therapy before the stores close. 7:00pm – Head back to your hotel and relax for a bit. 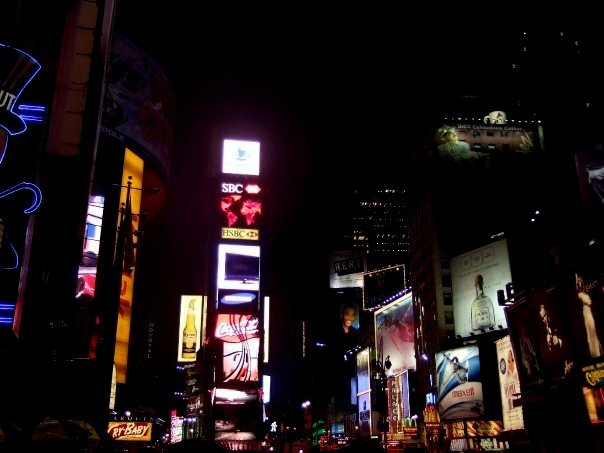 Then either grab dinner or a drink before heading back to Times Square to see it all lit up for the night! If you ran out of time in the afternoon to check out everything you wanted to see, you’re in luck because many of the stores are open late! 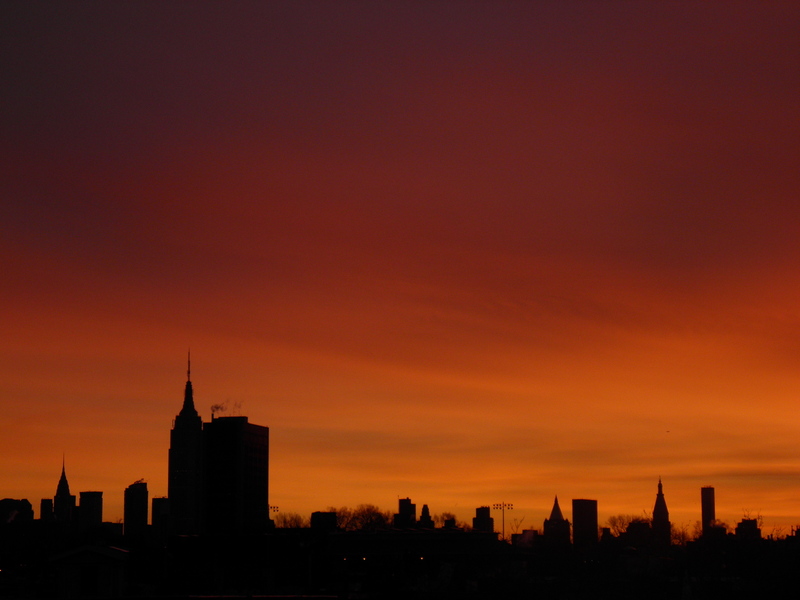 8:30am – Start the morning off by grabbing one of Manhattan’s most notable foods, a bagel. Once you have your bagel in hand, it’s time to head back to Times Square to the TKTS Booth. The TKTS booth sells discounted tickets to the day’s performances, so be sure to get in line early (9am at the latest) to get the best selection of Broadway Musicals & Plays matinee performances when they open at 10am. Hint: Check TKTS’s website to see what shows they have been getting tickets for lately and also be sure to check what shows have matinee performances on the day you’ll be there. 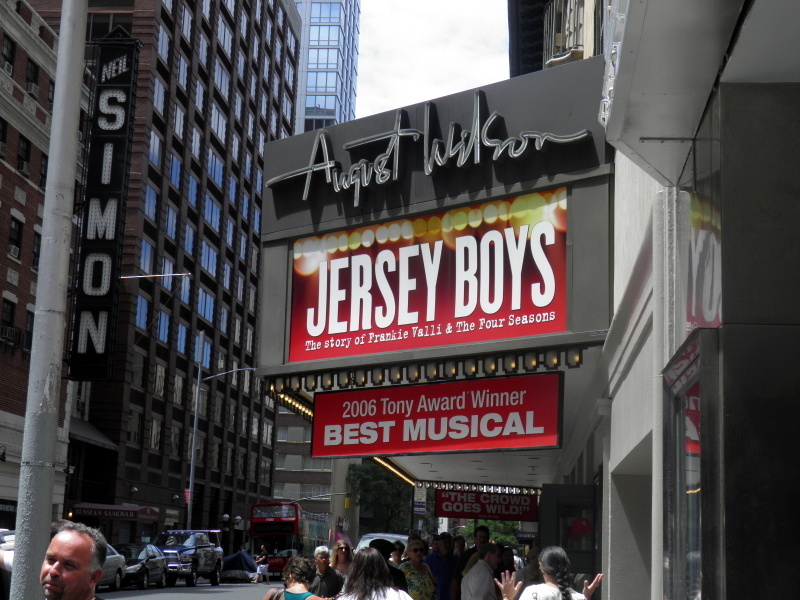 11:00am – Now that you have your Broadway tickets in hand, spend some free time exploring the area and grab some lunch. 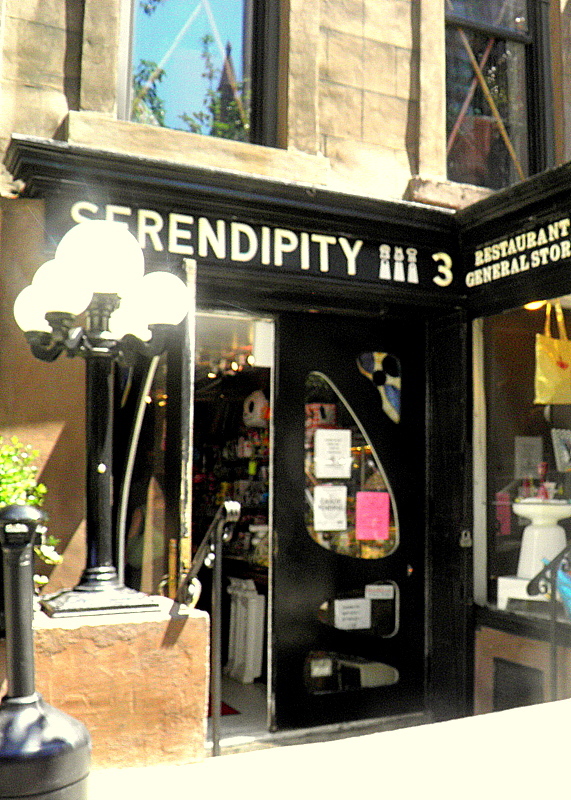 If you missed going to Serendpity 3 the day before, you might have just enough time to get there, eat, and get back in time for your play. 1:30pm – Time to enjoy your Broadway Show! Get there early to make sure you are settled in your seat before the lights dim. 5:00pm – There’s time to enjoy just one last meal before heading home. There are lots of options to choose from below you’ll find some of my personal favorites. Boozy Brunch – Boozy Brunch is practically an institution in NYC some of my favorites are Essex and Agave. Did your favorite NYC attractions make our list? What else should people make sure to squeeze into their time in NYC?